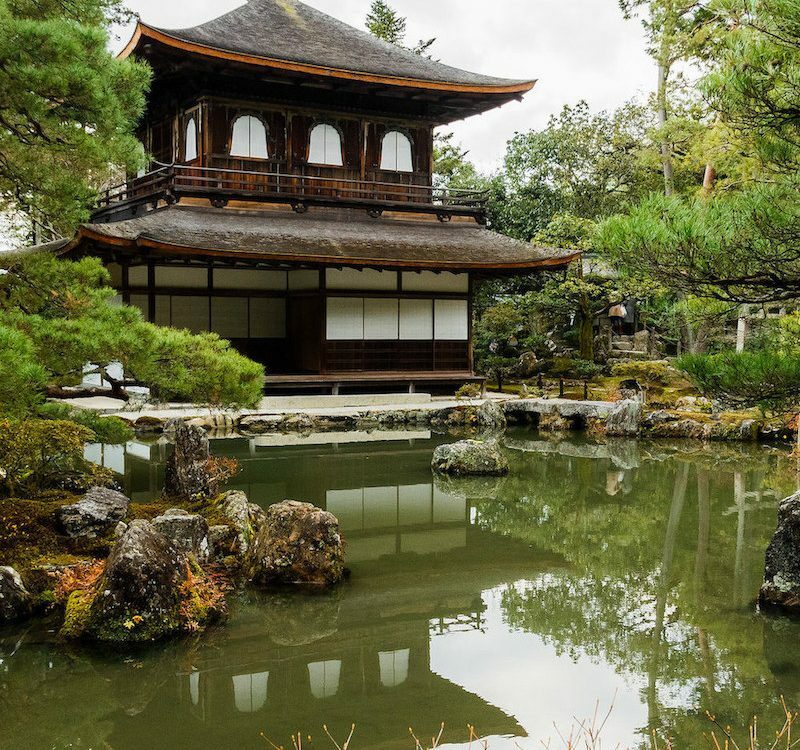 Japan is a country that’s on almost everyone’s list to visit at least once in their lives. Yet, deciding which cities and areas you’d like to visit is ultimately much easier than deciding on one place to live in. Expats who have the freedom to choose which area of the country they’re going to settle down in may feel overwhelmed when they realize they’ll likely be choosing between the two largest cities: Tokyo and Osaka. Here to help, we’ve compiled some of the major differences between the two cities that should be helpful for anyone trying to decide where they’d like to rest their weary head after a hard day of work. 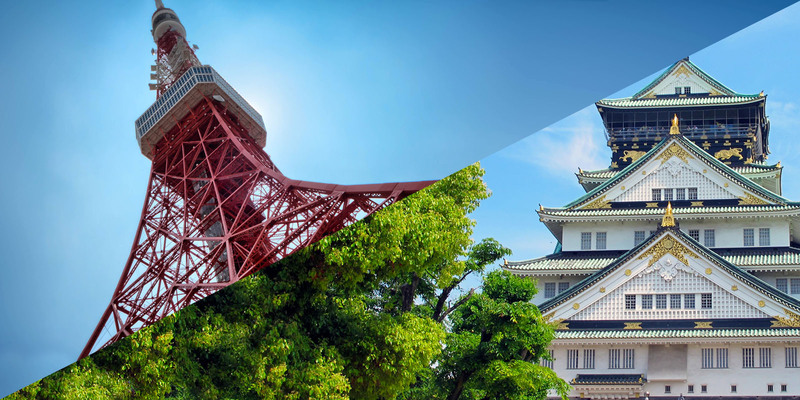 Read on to familiarize yourself with how Tokyo and Osaka differ, and find out which one might be the right fit for your lifestyle! For tips on what to do in Tokyo, read: Our Selection of the Top 23 Best Things to do in Tokyo Japan. 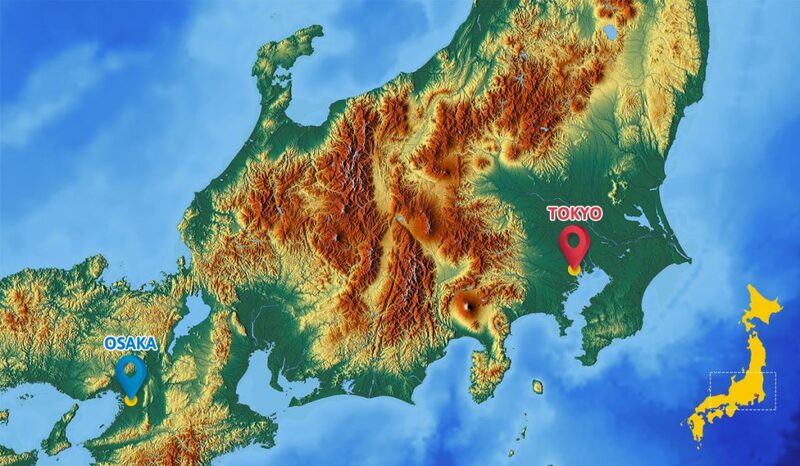 Many people envision the two biggest cities in Japan being on opposite sides of the country, but they’re actually only 500km apart from each other. Regardless of how close or far they are from each other (and the fact that it only takes six hours driving on the highway or three hours on the bullet train to get from one to the other), these cities can present such drastic differences that it’s hard to not imagine that they’re at opposite ends of the country. 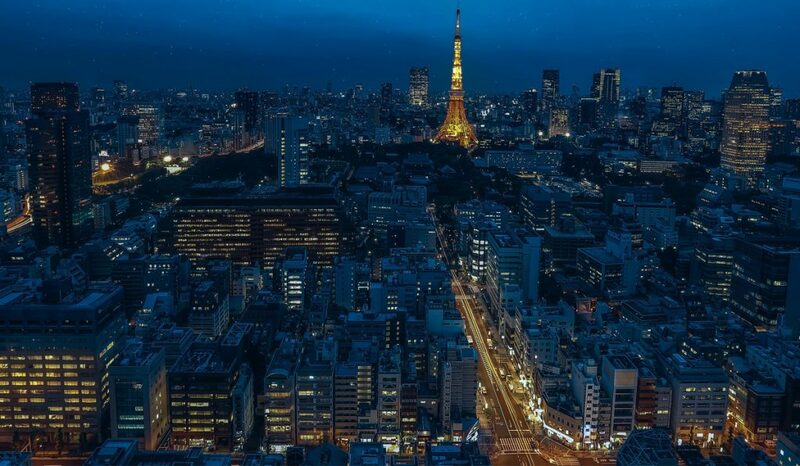 Tokyo is the bigger city out of the two, and as such many people assume that there’s more to see and do in the Kanto region (which Tokyo is in) than there is in the Kansai region (where Osaka is located). This is somewhat misguided thinking. Tokyo may be a larger city with more people and sights to see, but there’s just as much to see and do in Osaka regardless of its smaller size. 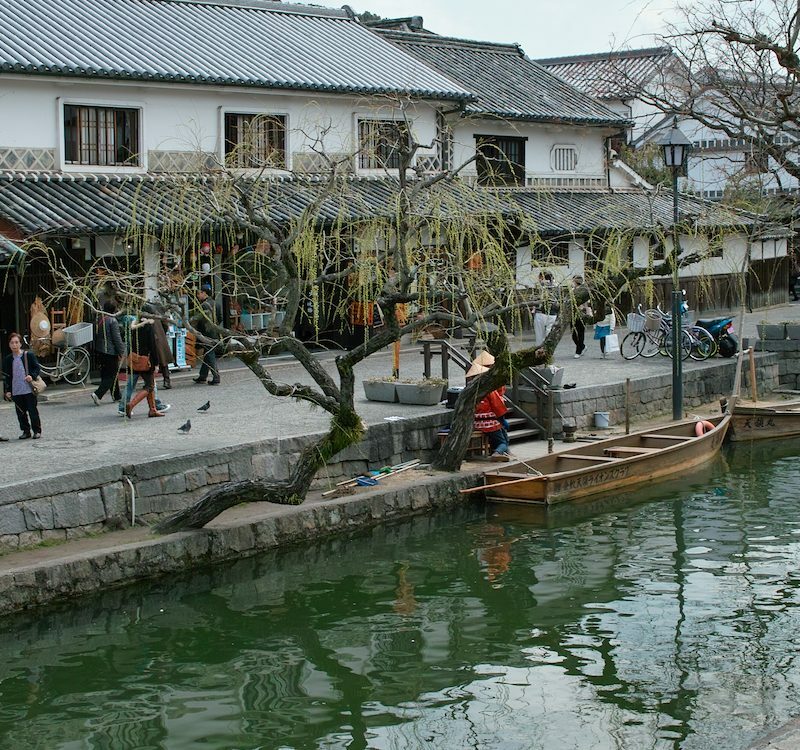 Osaka is located right next to Kyoto, which is a popular destination in Japan for sightseeing and exploring. Tokyo is comprised of separate wards that add their own unique flavor to the overall look and feel of the nation’s capital city. Both cities are relatively close to larger bodies of water, but it still takes a bit of time to reach a beach from either city center. Tokyo is a bustling metropolis that’s filled with busy workers trying to get from point A to point B in as little time as possible. It’s also a favored destination for tourists around the world, and has a sizable population of expats living and working within the city. Many people say that Tokyo has a very work-centric vibe due to the hustle and bustle seen on a daily basis, and that locals are not as friendly as other cities. This is usually countered by the conclusion that Tokyo citizens are in fact shy and polite, not cold or standoffish. The streets can feel very crowded and claustrophobic during peak seasons for travel, but it’s hard to find a secluded area year-round. If you never want to feel alone in the big city, Tokyo surely provides such an atmosphere. Due to the higher population of expats and tourists, the financial district, and the growing need for many employees to have basic English skills, it’s easier to find someone who speaks English in Tokyo than many other areas in Japan. Osaka, on the other hand, has a more homely and calm atmosphere. With a smaller population of expats and lower number of tourists coming through the city compared with Tokyo, people say that they feel more relaxed and comfortable when walking through the streets and enjoying the sights and sounds of the city. Locals are said to be warm and friendly, and love to make jokes and be straightforward with their responses. With a lower population of expats and less tourists running around, Kansai residents are less likely to speak English. 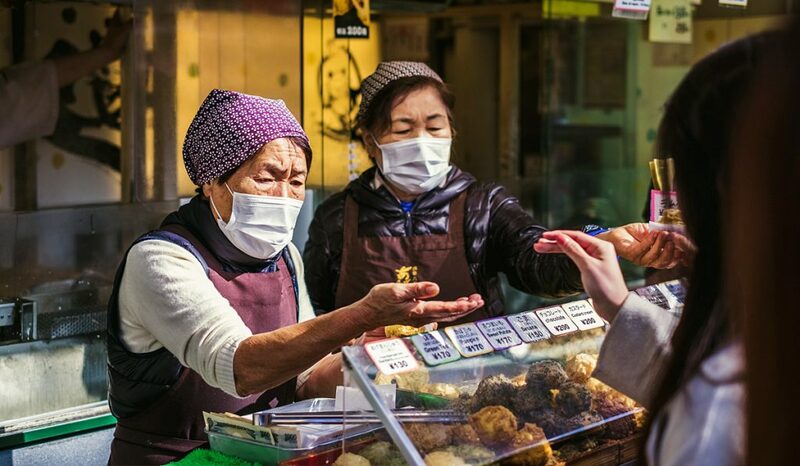 Even though this may seem like a negative factor when deciding to live, it’s also commonly said that Osaka residents are more likely to go out of their way to engage with foreigners and try their best to help out if they can. There are many specific dishes found commonly throughout Japan, but each region has its own unique tastes and preferences for each dish. Some dishes have evolved throughout the generations to become region specific dishes, like ramen and sushi. 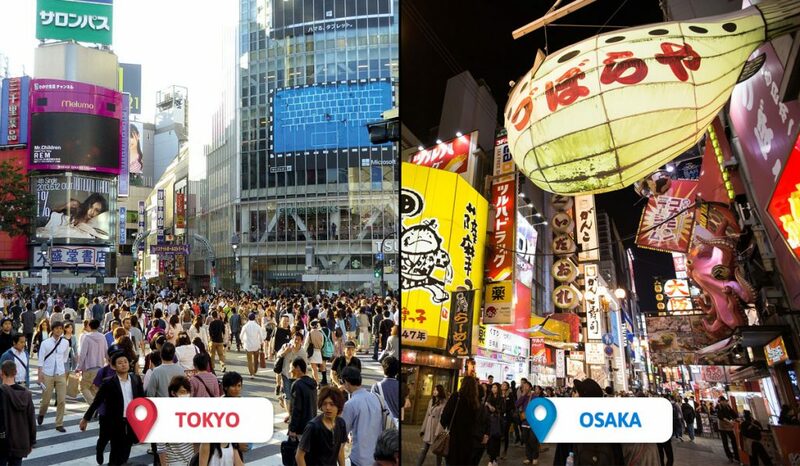 These differences are easily seen when comparing Osaka and Tokyo’s food preferences. Osaka tends to favor light and salty flavors, with many dishes featuring seaweed broth (called kombu dashi) and soy sauce – specifically, usukuchi soy sauce. The Kanto region, on the other hand, leans towards strong, dark flavors that feature bonito fish flake broths (called katsuo broths) and koikuchi soy sauce. Kansai also prefers to use sweet saikyo miso while Kanto favors pungent red miso. There are many differences in the traditional cooking methods of each region (almost too much to list in a single article), but they should be considered carefully before moving to either region. 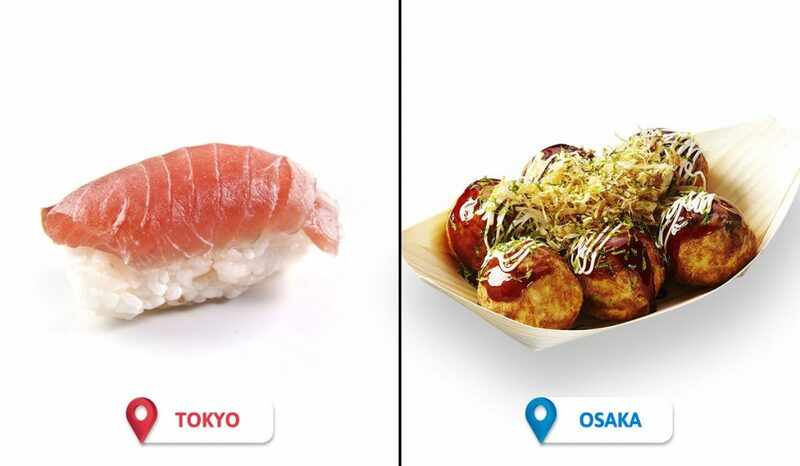 Other differences to note between Tokyo and Osaka is that the Kansai region favors takoyaki, funazushi, okonomiyaki, oshi-sushi, fugu nabe, and beef, while the Kanto region favors yaki manju, namero, monjayaki, nigiri-sushi, anko nabe, and pork. Along with their preferences for certain ingredients being used dishes, each region also has their own traditional methods to preparing daily foods, such as which knives they use and what their starting ingredients are. Apart from their cooking methods, Osaka is also known to have famous street food available in many places around the city, while Tokyo is known to have some of the finest restaurants in the entire country. Tokyo also boasts some of the best international cuisine restaurants, and as such can give homesick expats a little taste of home. 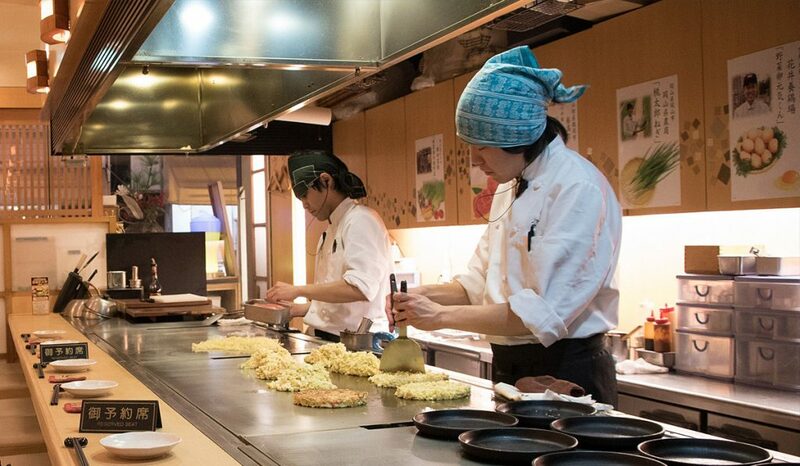 If you prefer to immerse yourself in the local cuisine of the area you’re living in, Osaka’s got you covered. Many expats moving to Japan for the first time will be astounded to see the price of many of their living expenses, as Japan is one of the most expensive countries for expats to live in. Even so, some cities are more expensive to live in than others. Rent, utilities, restaurants, groceries, and even alcohol are generally cheaper in Osaka than they are in Tokyo. Rent can be almost twice as expensive for the same sized apartment in Tokyo versus in Osaka. Yet, many people forget the fact that although standard prices are higher in Tokyo, the standard wagers are also higher in Japan’s capital than in Osaka. Want to know where to shop in Tokyo? Read The Top 10 Best Areas for Your Shopping in Tokyo. That being said, savvy shoppers can stretch a yen further in the merchant city of Osaka than they can in Tokyo. While shopping in Tokyo, consumers accept that the prices are set (sometimes very high) and that there’s no changing them. In Osaka, it’s perfectly acceptable to try and haggle down the price of an item with the seller. By doing so, you might be able to save even more living in the quaint little city. Along with how much you’ll be spending in either city, it’s important to know what you’ll be able to purchase in Tokyo and Osaka. 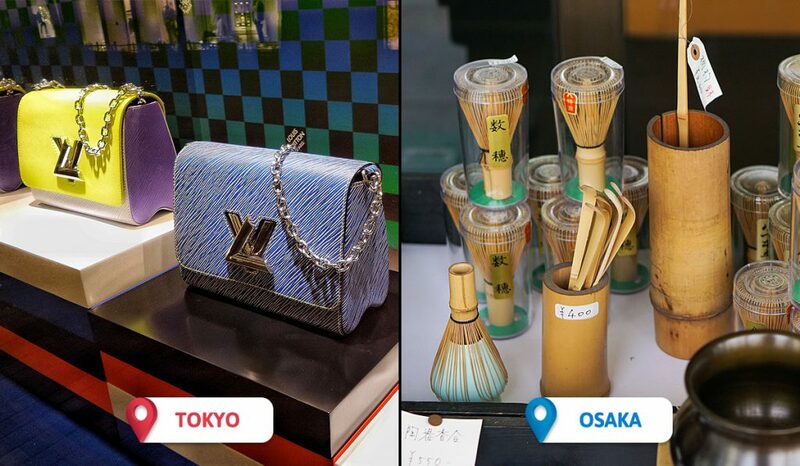 Both have relatively the same types of items available to purchase, but it’s been noticed that Tokyo has a better selection of international brands. Osaka provides traditional Japanese clothing, accessories, food, and decorations on a regular basis (and usually for cheaper prices than can be found in Tokyo). Tokyo has wards filled to the brim with shopping goods and items, which Osaka has impressive shopping malls, arcades, and streets. 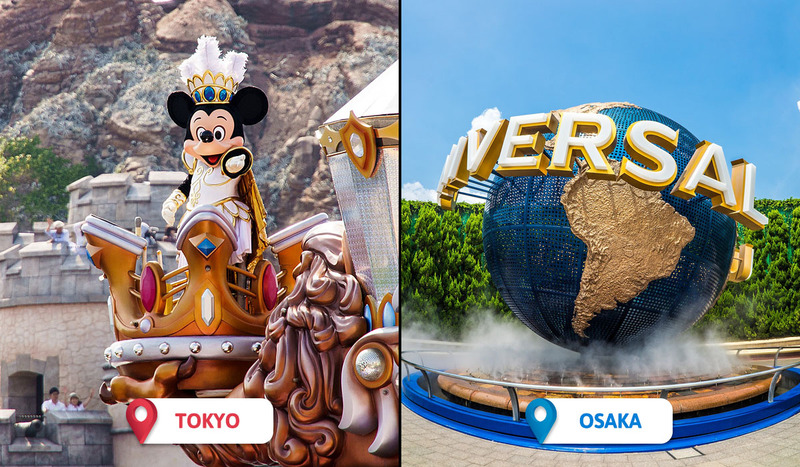 One of the must-see attractions foreigners want to visit when they come to Japan are the big three theme parks: Tokyo Disneyland, Universal Studios Japan, and FujiQ. 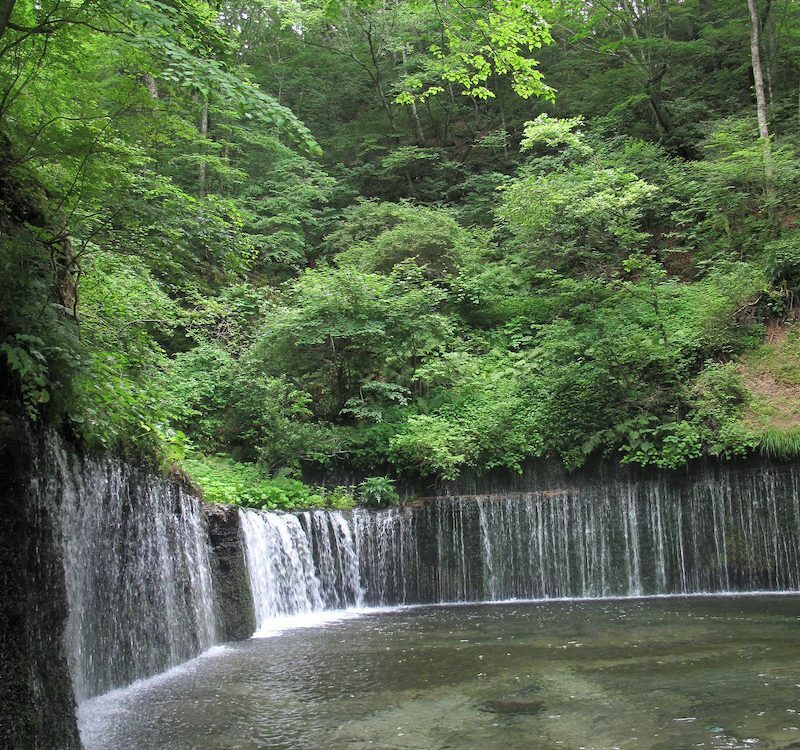 Two of the three (Disneyland and FujiQ) are easily accessible from Tokyo, and only take one to two hours to reach from the center of the city. In comparison, USJ is only 20 minutes away from the center of Osaka. 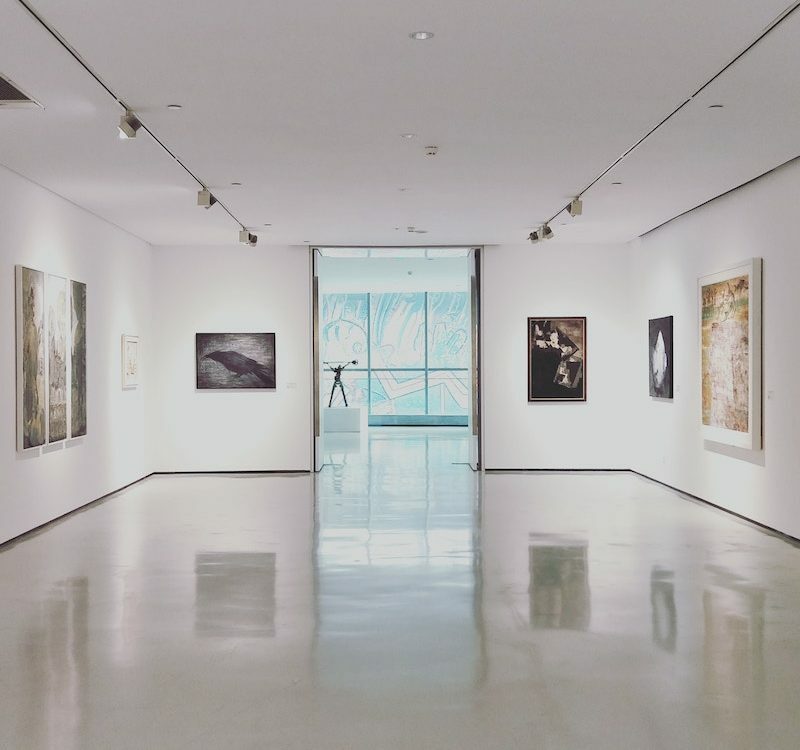 Both cities have multitudes of museums, theaters, and outdoor activities to entertain tourists, expats, and locals, so it’s hard to compare which has better entertainment venues than the other. Tokyo is comprised of 23 wards, which means that it has 23 areas that have their own distinct shopping and entertainment venues. 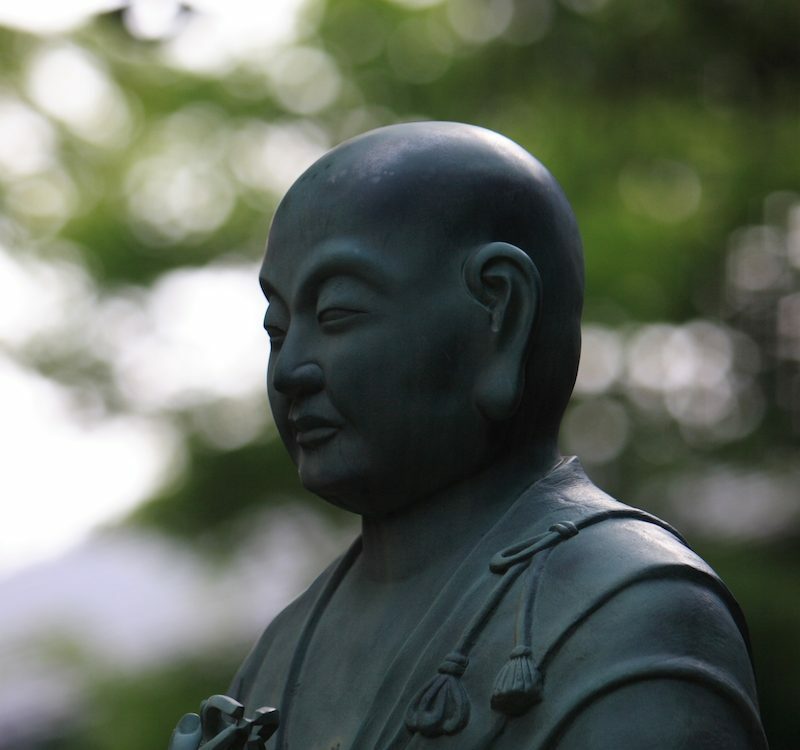 The most famous spiritual areas to visit in Tokyo are Meiji Shrine and Sensoji Temple, though there are plenty shrines and temples to see throughout the city. You can enjoy Tokyo Tower, Tokyo Skytree, and many areas dedicated to otaku culture (being obsessed with particular interests like anime, computers, or cute things). Visit the Official Tokyo Tourist website here. In Osaka, you can enjoy traditional sights like the Osaka Castle and Sumiyoshi Taisha Shrine in addition to other local shrines, museums and temples. The Osaka Aquarium Kaiyukan is one of the largest in the world, and taking a stroll through the entertainment district of Dotonbori is an experience to remember. There are plenty of traditional Japanese activities to watch or engage in, one of the most memorable being the Bunraku puppet shows. 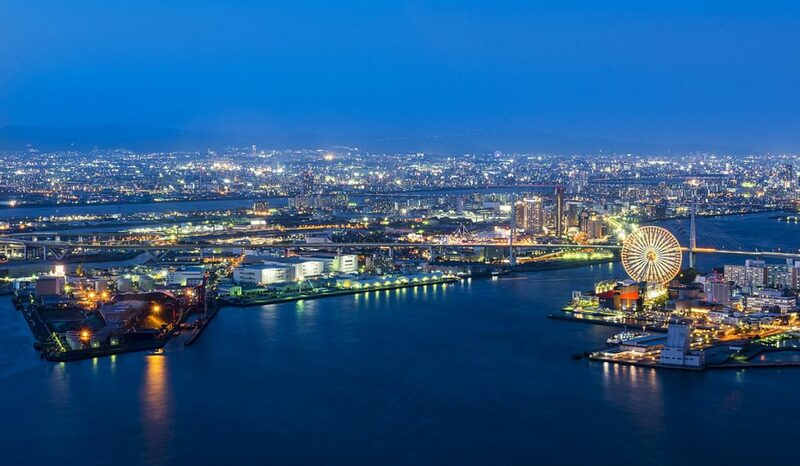 Visit the Official Osaka Tourist website here. Driving in Tokyo is one of the scariest experiences many expats will ever have. The roads are small, cars stop frequently near the sidewalk to block entire lanes, and traffic can be unbearably heavy in the mornings and evenings. The public transportation systems are quite easy to use and make getting around the large city easy and affordable, but they also experience the same congestion in the morning and evening. Whether you’re using your personal vehicle or boarding the train, you’re likely to feel squeezed and stuck during daily commutes to work. In comparison, Osaka’s roads are wider and usually aren’t so traffic-heavy during the day. Many expats have an easier time transitioning to driving in Japan when they start out on Osaka’s roads, and generally feel safer and more relaxed behind the wheel. 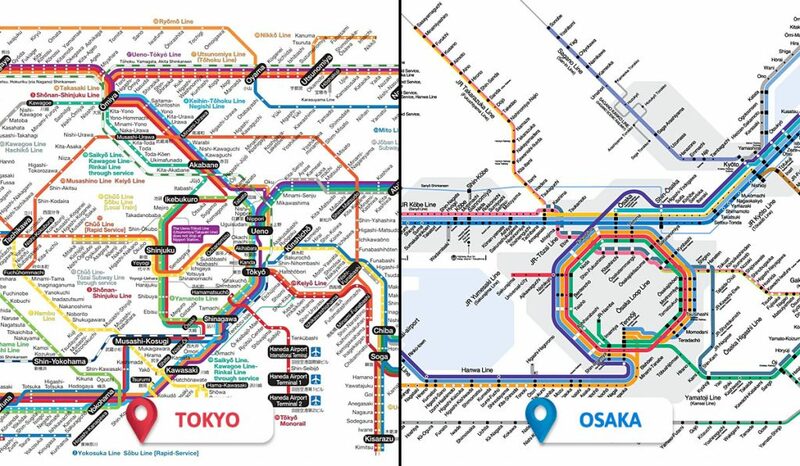 The public transportation isn’t as vast or elaborate as Tokyo’s, but their buses and trains will get you where you need to go (without being packed like a sardine as often as you would be in Tokyo). It’s mainly due to the fact that Tokyo is a larger city with a larger population of expats that finding other foreigners to interact with can be a much simpler ordeal there than in Osaka. Using apps, websites, and word-of-mouth are all viable options for finding expats to engage with in Japan’s largest city. Whether you’re trying to meet expats who come from the same country, different countries, or are looking for more than just friendship, the process is simple and straightforward. Luckily enough, if you don’t like the first group you try, there are plenty of other groups to choose from. Osaka, in comparison, has a much smaller expat community within the city. Since the number of foreigners isn’t as high, expats have less groups to choose from and a harder time finding one that works for them. Even utilizing the same apps and website that make the task so easy in Tokyo doesn’t always give the best results in the Kansai region. Thankfully, even if expats can’t find other foreigners living in Osaka to engage with, there are vast online communities that can help them out no matter where they live. For face-to-face interactions, though, Tokyo is the safe bet for finding at least one group that fits your fancy. Much like finding expat groups, finding a job as an expat is easier to do in Japan’s capital city. Although both cities have the same needs and requirements in their job markets that expats can fill, Tokyo has sheer numbers on their side. 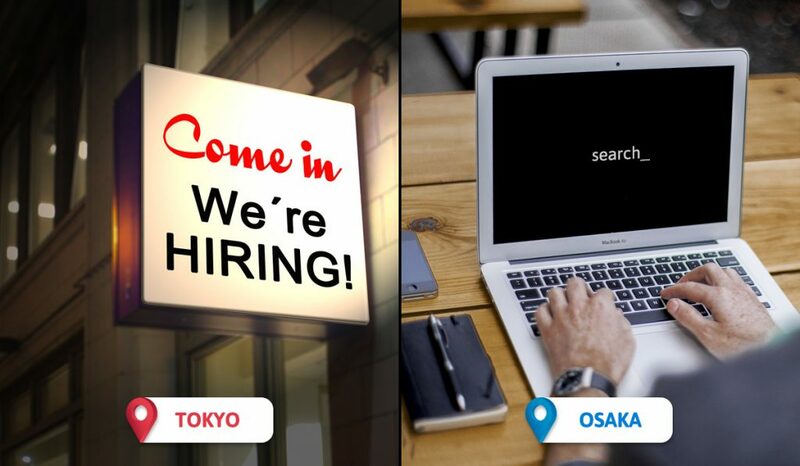 By simply having more job opportunities available because they have more companies and organizations located in the city, expats might have an easier time finding work in Tokyo. Better still, Tokyo is more English friendly than many other cities in Japan, which means potentially better communications between expats and potential employers. 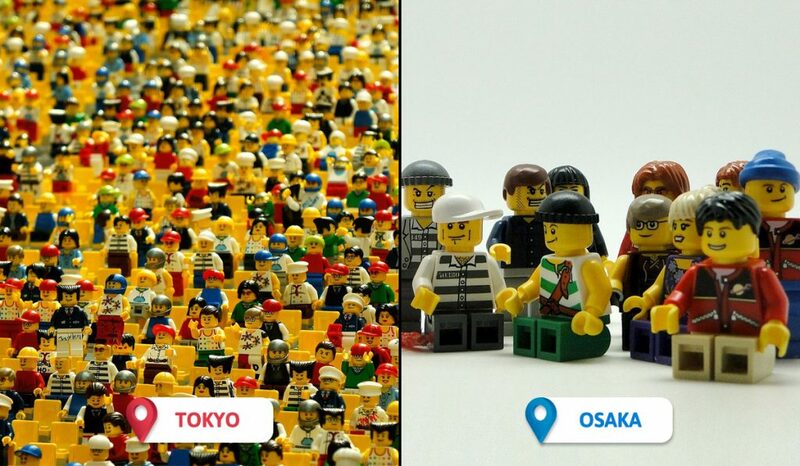 Osaka has a much smaller job market, which means less openings for expats. With that said, it’s not impossible for expats to find jobs in the city. Many companies will place their employees in different cities across the country. If an expat is lucky enough, they can work for an English-speaking company but live in Osaka (or Tokyo, or Sapporo, or any other city in the country). Unlike Tokyo, landing a job in Osaka as a foreigner is definitely easier when an expat company places them there. It’s impossible for us to say which city is better, as every expat has different wants, needs, and expectations about what’s important to them in regards to where they live and work. In the end, expats need to decide for themselves which city has the most positive or negative aspects and whether either of them has dealbreaker aspects that rule them out completely. Hopefully this article has helped in terms of deciding which city is better for expats to live in! Are there any other differences we missed? Join our Facebook group and let us know! 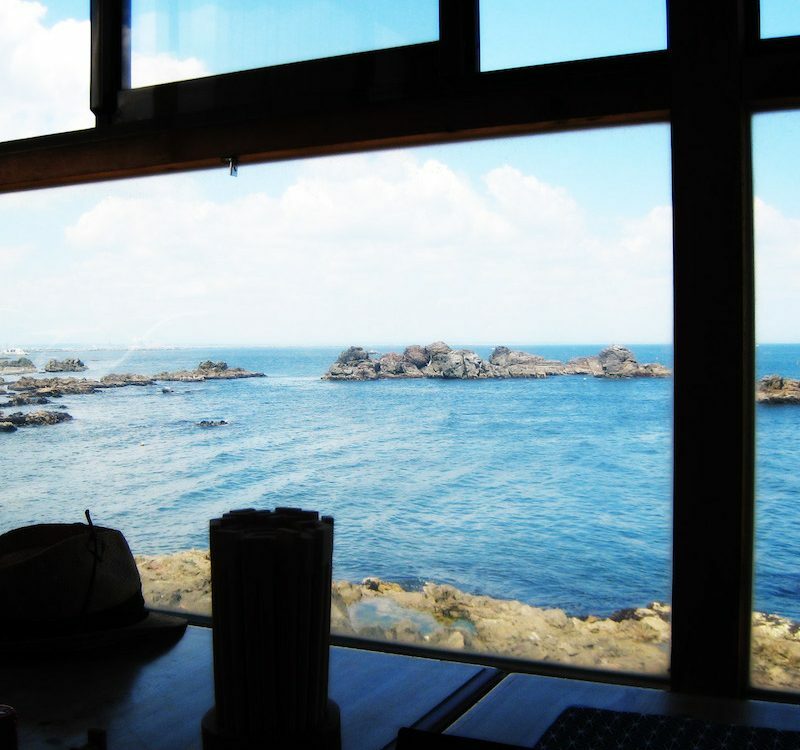 Be sure to follow us on Facebook, Instagram, Twitter, and Pinterest for lot’s more about Japan.